Welcome to Malibu Tans! We’re pleased you’ve entrusted us to provide you with professional spray tanning services. At Malibu Tans, we pride ourselves on delivering a quality tan that keeps you looking and feeling fresh and luxurious. Inside our plush boutique in the Near West End, you’ll find an inviting and comfortable environment where we hope you’ll feel at home each and every time you visit us. If you’re planning to visit us for the first time, we know the circumstances surrounding a spray tan can seem a bit intimidating, but we can assure you it’s nothing to be afraid of. Our main goal is to make you feel as comfortable as possible. So relax and enjoy a complimentary beverage from our self service bar, and make yourself at home. We’re glad you’re here! 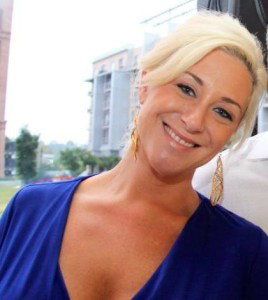 Alison Renahan has been Richmond’s number one professional spray tanner and esthetician for the past five years, as voted by the readers of Richmond Magazine and Style Weekly. Over the course of her career, thousands of clients, including a number of prominent Richmonders, have come to know and trust Alison for her skills and professionalism. She knows what it takes to get you looking your best, whether you’re prepping for your wedding or just want a healthy glow without the hassles and dangers of traditional tanning. Copyright © 2015 Malibu Tans. All Rights Reserved. Designed and managed by Boulevard Creative.